Marble Media LLC’s MommyHotSpot.com, a blog site for parenting tips and advice, offers up new options for creating personalized jack-o-lanterns for Halloween décor. 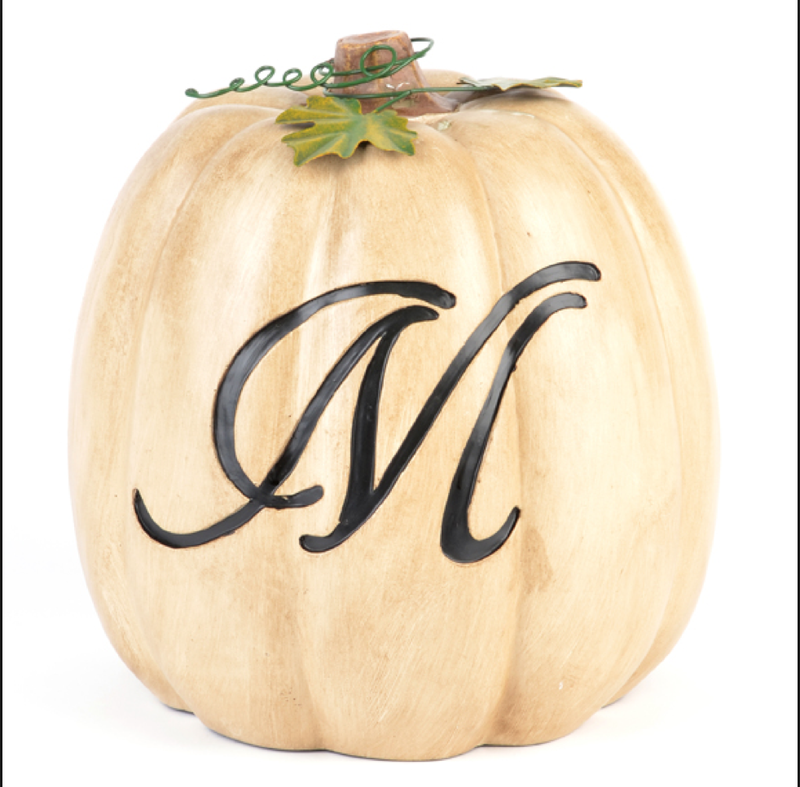 Dress up your monogrammed pumpkin by adding a few smaller or larger pumpkins as decorative accents. Pumpkin carving, a tradition brought to the United States in the mid 1800s by Irish Catholic immigrants, has evolved over the past century and a half. Today, pumpkin carving has become a veritable art form for some, although most moms and dads create something along the lines of the traditional scattered-tooth, triangle eye variety that still can add a bit of charm to a front porch. In the latest blog from MommyHotSpot.com titled, “Not Your Traditional Pumpkin,” Marble Media LLC blogger Kathryn B. offers some fun twists on pumpkin decorating that anyone can do. The tradition of carving pumpkins into jack-o'-lanterns originated with Irish children who first carved out the centers of rutabagas, turnips and potatoes and placed candles inside. The switch to pumpkins happened when they arrived in America and discovered the round orange squash-like fruit, and Americans have enjoyed carving pumpkins ever since. 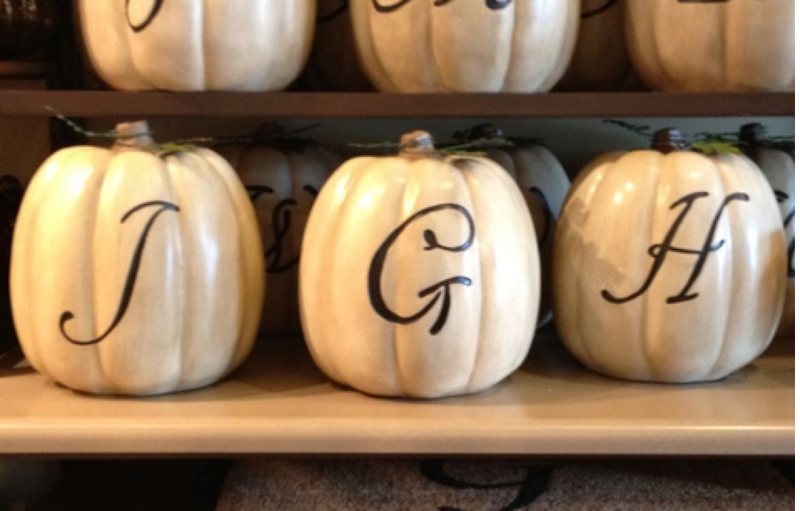 Kathryn turned to a crafty friend for guidance on creating her first monogrammed pumpkin. She became good at the DIY project, and began making them for friends and family. “Choose a bold script for the monogram and print it out on the vinyl,” Kathryn says. 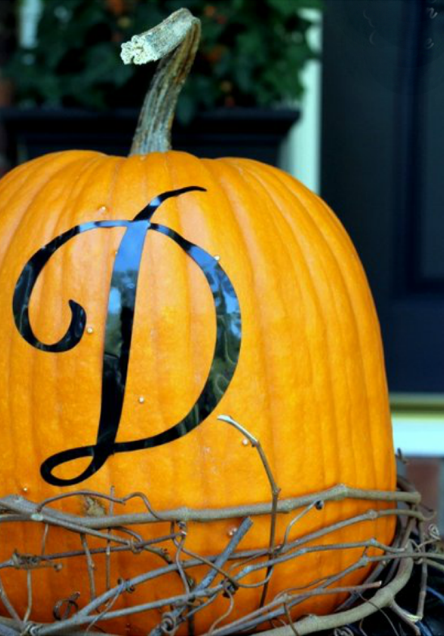 “Next, apply the monogram to the pumpkin; plan in advance the exact placement you have in mind so there is no risk of messing it up after it’s in place. 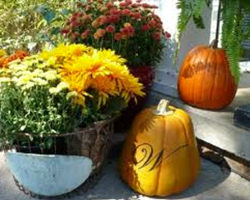 By viewing additional pumpkin design ideas on the Internet or in craft stores, anyone can create personalized pumpkins that suit their personal taste. Mommyhotspot.com is a great place to find new ideas and get answers to parenting questions, and advice for child raising conundrums. For more information, visit the Mommyhotspot.com website or email info(at)mommyhotspot(dot)com. Marble Media LLC is a creator of high-quality, content-rich blog sites that provide expansive coverage of relevant information to readers who make up a wide range of demographics. The Marble Media LLC team of expert writers covers a wide range of specialties including travel, food, health, fitness, social media, marriage, parenting, technology, weight loss, fashion and much more. For more information on Marble Media LLC’s offerings and advertising opportunities, visit the MarbleMediaLLC.com website, or email sales(at)marblemedia(dot)com.